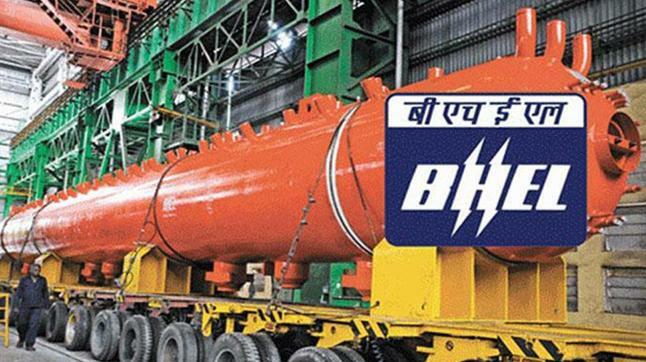 BHARAT Heavy Electricals Limited (BHEL) has fully commissioned the 120 MW Pulichintala Hydro-Electric Project (HEP) in Suryapet district of Telangana. While it commissioned the fourth and final 30 MW hydro generating unit, BHEL had earlier commissioned three units of the 4x30 MW Pulichintala HEP, which are being operated. The Greenfield project has been set up for Telangana State Power Generation Corporation Limited (TSGENCO) on the river Krishna. significantly in reduction of greenhouse gas emissions towards achieving a low carbon development path for the nation. BHEL was entrusted with execution of the Electro-Mechanical (E&M) package for the project comprising supply and supervision of erection and commissioning of 4 sets of Vertical Kaplan Turbines and Generators of 30 MW capacity each along with the associated auxiliary equipment. The equipment for the project has been manufactured and supplied by the state-owned energy equipment maker. BHEL's units at Bhopal, Jhansi, Rudrapur and Bengaluru, while the erection and commissioning on site has been carried out under the supervision of the company's Power Sector Southern Region construction division. BHEL has thus far commissioned 1073 MW of hydel projects in Telangana so far. Some of the large hydro projects include those at Nagarjunasagar and Srisailam Left Bank Power House. It has also commissioned seven Lift Irrigation Schemes of various ratings aggregating to 521 MW, comprising 25 Pump-Motor sets. BHEL is presently executing another 40 Pump-Motor sets of 5,356 MW, including Palamuru Rangareddy LIS Stage-2 & 3 of 2,610 MW (2 stages of 9x145 MW each), in Telangana. BHEL is presently executing Hydro-electric projects of more than 2,700 MW across the country, in addition to 3,904 MW abroad. The latter includes 2,940 MW in Bhutan and 900 MW in Nepal, which are under various stage of implementation, according to the Maharatna PSU. Earlier, equipped with BHEL-supplied sets, the 220 MW Unit 1 at the indigenously developed Kaiga Atomic Power Station (KAPS) of NPCIL has created a world record for continuous operation. The complete steam turbine generator set and all the steam generators for the unit of Nuclear Power Corporation of India Ltd (NPCIL) have been manufactured and supplied by BHEL. 10,000 MW including Belarus, Bhutan, Egypt, Indonesia, Iraq, Kazakhstan, Malaysia, New Zealand, Oman, Rwanda, Sudan, Tajikistan and UAE. BHEL is one of the largest engineering and manufacturing companies of its kind in India engaged in design, engineering, construction, testing, commissioning of energy and infrastructure enterprises and it caters to core sectors like power generation, transmission, transportation, oil and gas, renewable energy, defence and aerospace among others.